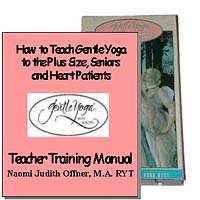 Learn to relax, increase your energy and manage your stress to create total well-being. 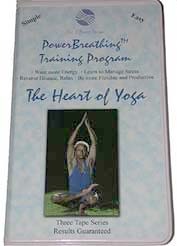 PowerBreathing by Yonah techniques are based on gentle yoga (a form of hatha yoga), and proper breathing (known as "pranayama", a form of natural and alternative healing). 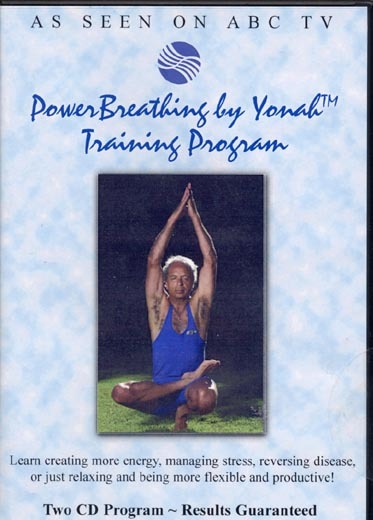 With properly controlled breathing and alternative health therapy based on the focus of stretching, relaxation, and concentration, feeling better can be yours by using your own natural healing, life force/prana/chi. Wouldn't that be great? $69.95 All prices in U.S. dollars. Start new classes or expand your existing ones by reaching a relatively untapped, specialized market. 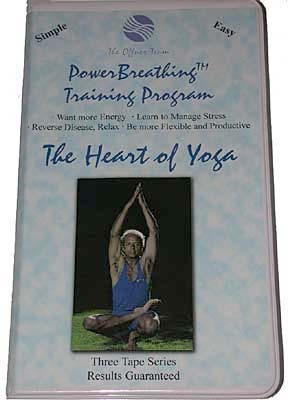 Created specifically to make yoga available to all sizes, ages, and fitness levels, this manual will guide you step-by-step with clear photographs showing over 100 poses, easy-to-follow scripts including benefits of poses, and a full set of specific sequenced routines. $97.00 All prices in U.S. dollars. $8.00 All prices in U.S. dollars. Pay for a PowerBreathing office visit. Overnight shipping: add $20 per order.